Looks can be deceiving but the deception can still be a thing of beauty. 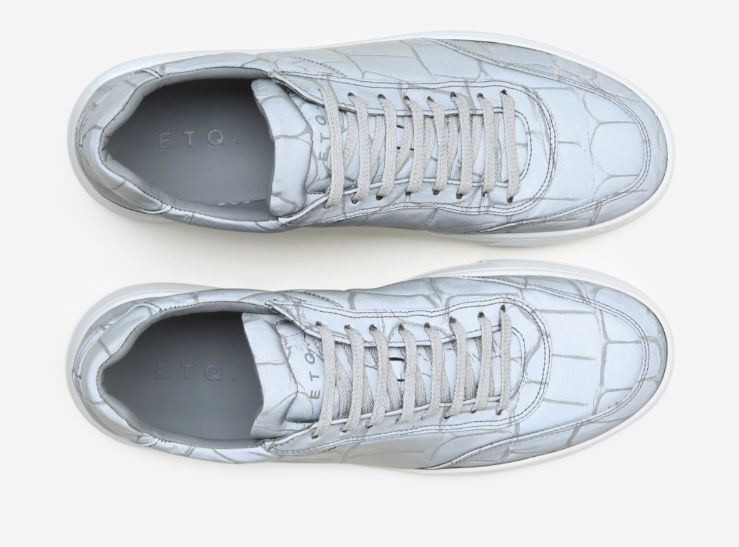 ETQ Amsterdam's new Reflective Croc Low 5 Sneaker is a cool low-top that has a 3M reflective grey crocodile finish that shows up as brilliant glowing with in the nighttime time or a selfie flash. This Low 5 is fully leather-lined with a leather insole and features white rugged cup sole unit. 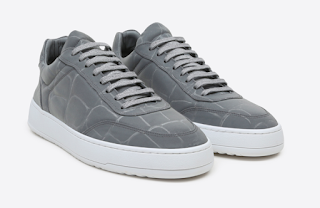 This is a great shoe to dress up for downtown-hopping or dress down for a day out and about. Available now at ETQAmsterdam.com.